I’ve been a bit silent on this blog, aside from a few quick posts, but it’s not because I’m being lazy – I’ve actually been extremely busy. Every night I go home and play poker, blackjack, horseshoes, and in between have to deliver bounties (preferably alive, hogtied to the back of my steed) to the local sheriff in Armadillo, hunt deer, skin coyotes, sharpshoot gangs, and traverse the wild west desert from bleeding sunrise to star-freckled night. These adventures have all been made possible by one more addition to my life checklist: to own a video game console. I’ve always wanted to play video games, but my parents (probably rightly) raised my sister and I with a distain for that which keeps you indoors and unproductive. Nature, good: Video games, bad. Not to mention all their violence and the general inefficiency in cost of constantly upgrading with each new release. Still, I was always curious about that mysterious side of pop culture in which I had no part. The first time I seriously played a video game was about three years ago, and it was Grand Theft Auto with Andrea, TL, and my right thumb in a splint. I was horrible. I blamed the splint of course, but, hey, who was I kidding? It was my first time holding a controller. I wish I had some playbacks saved of my atrocious coordination of the controls: swinging camera, smashing every car I stole in under a minute, and running around looking half drunk, and half like the too-few-stringed puppet of a drunken puppet master. Although I had the bloodlust to kill every pedestrian I passed and mug for all the cash and weaponry they might possess, I was physically incapable of walking up to them and punching their teeth in. Instead I’d dance around them in a circle, gently shoving them with my back and shoulders as I tried to maneuver into a face-to-face position. Impossible. Anyway, since that mighty awkward experience of losing my video game virginity, I’ve gradually improved. Mostly at Andrea’s, I’ve played a bunch of games, most notably Journey (best game in the world), Skyrim, and Red Dead Redemption. 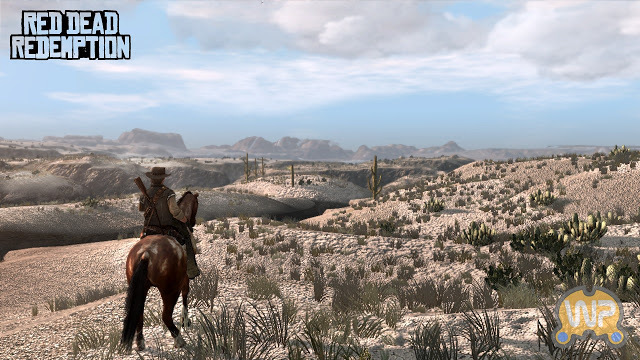 Though Journey’s my favourite, and though Skyrim is indeed a masterpiece, I fell in love with the wild west world of Red Dead Redemption (RDR). Perhaps that’s because it’s by the same people who made Grand Theft Auto, it being the same structure just set in the wild west, and as such it triggers memories of my baby steps into the world of video games. More likely though it’s because it’s effing awesome and beautifully put together with serene desert scapes, mood-setting music, and admirably constructed storylines with unconventional conventions of the cowboy genre. But, despite the many days spent at Andrea’s eating Miss Vicky’s jalapeno chips in the basement and wearing her green alpaca poncho, one of the frayed strings I had to leave hanging loose in life back home was making it to the end of the game. Andrea and I had talked about whether or not she would bring her PS3, or if we would buy a console here, and we’d decided, “Hell, nah! We’re going on an adventure to travel, not to stay at home and play video games!” And yet, two months in with the cold and the damp edging into our apartments, and the comfortable realization that we’ll be here for a while yet, we’ve felt more and more like we wanted to feel at home more than anything. For my part, I also have been realizing with more and more joyfulness that I live on my own, and as such, if I (responsibly) ration my budget, I can invest in things I might not have back home – such as my very own first game console! It didn’t take long for the idea to take hold, and before I knew it, I was on Craigslist Seoul searching for other expats hitting the road and looking for a foster home for their beloved electronics. 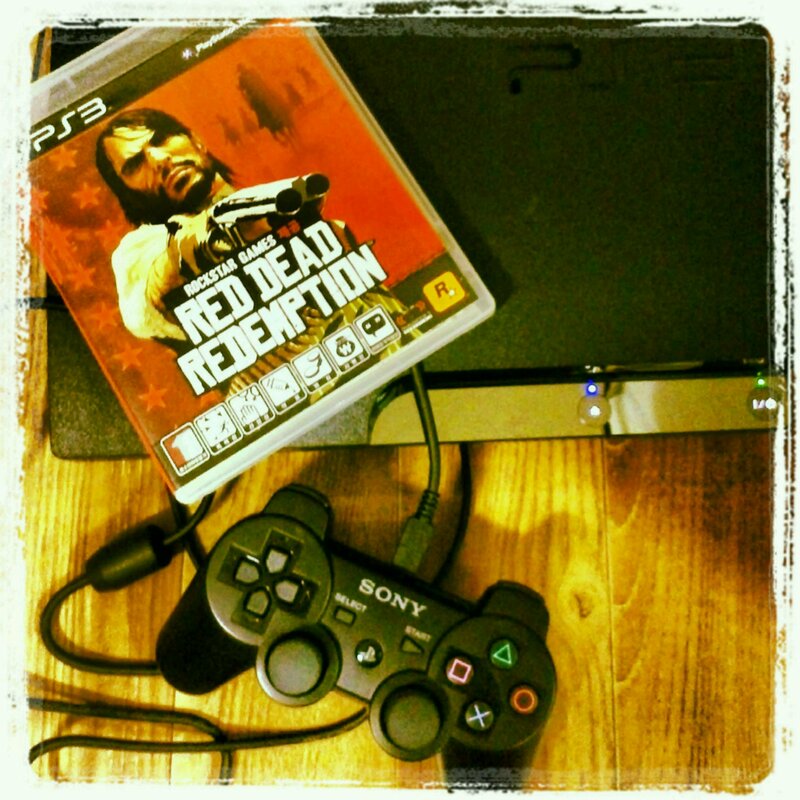 A PS3 became the obvious choice for me upon realizing that no matter the country a game is bought in, the console will play any and all regions. Convenient! I tracked down a guy near Seoul who was letting go of his for a mere 200, 000 W, which is under $200 CAD, with which he was throwing in all wires, a wireless controller, and a game. We chatted and settled to meet that coming Saturday. 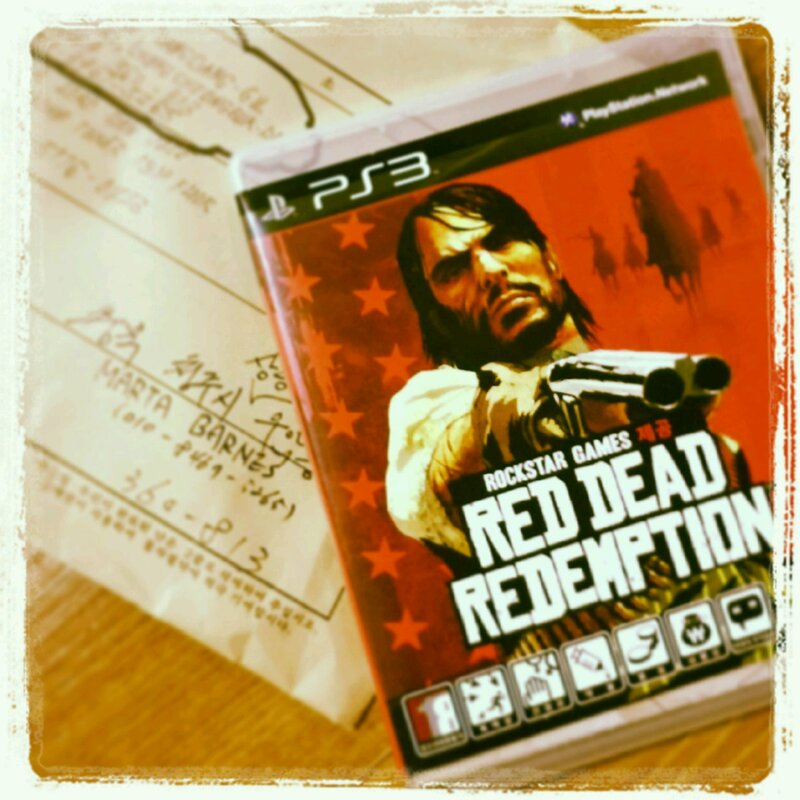 Meanwhile from another seller, I located a PS3 version of RDR for only 15, 000 W! A quick chat later, and he mailed it off to me where it arrived speedily in the mail not two days later on Friday afternoon. Could there be better timing? I think not. My excitement was barely containable until Saturday. Skyped with C a few times, who continually made fun of me for being “such a twelve year old boy” at heart. Truth. Saturday finally arrived, and I hopped on a bus to Seoul to meet with Mr. Craigslist. We chatted for a little while (it really wasn’t AS awkward as I make it out to be), and eventually I set off for home straightaway, a retarded amount of excited to get home and slide RDR into the disk drawer. Journey back went quick, although not quick enough for my liking. By the time I got to my door, I was ready to blow a fuse deep in my chest, the place that harbours those butterflies of excitement. I was surprised how easily I set it up – usually I can’t do electronics. I hate them and they hate me. Never the twain shall meet. But I had it set up in 10 minutes, and RDR in 15 seconds later. Since then, it’s been open desert, wild animals, southwest folk, and more virtual gambling than I know how to deal with. And that, dear readers, is why I haven’t been posting as religiously as I owe you. Oh, and the best part? 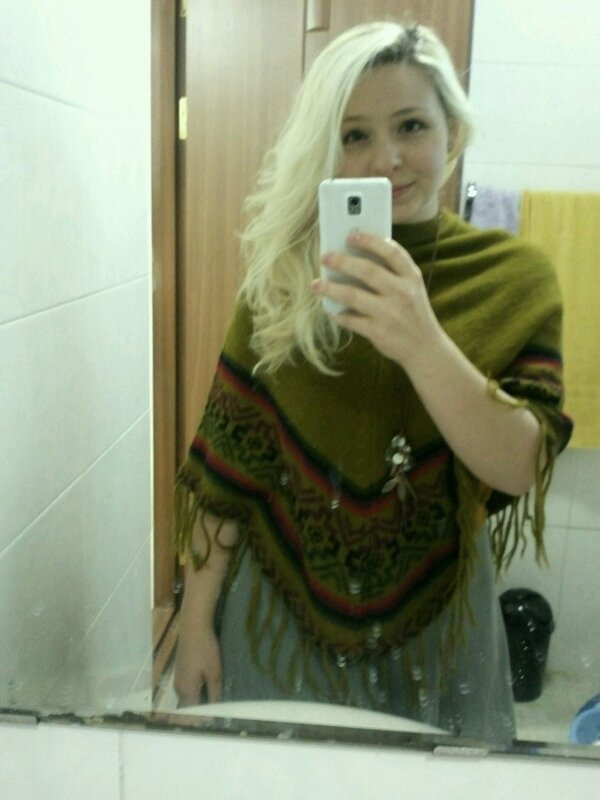 As a moving-to-Korea present, Andrea gave me her green alpaca poncho so I can be a cowboy in style : ) < 3 love my brain twin. I’m SO happy for you. 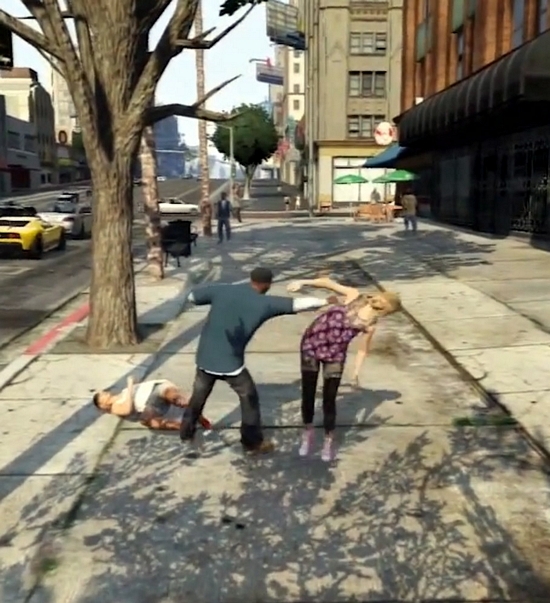 I still don’t approve of the violence…I cringed reading about the punching and such. But I’m glad you finally get to have one and play. The freedom of being on your own and earning a salary! I like the conversation scene with Mr. Craigslist.